India is a mineral-rich country and also one of the leading granite exporters to the world. Indian granite supplied by granite producers delivers a matchless style and grace to any concrete structure. Indian granite is a widely used and highly demanded construction material in the USA, Europe, Russia, Australia, Canada, and the Middle East. Granite industry in India is booming. There are lots of classic memorials built globally with Indian granite. Rich Americans prefer Indian granite stone for adding more appeal to their kitchens and bathrooms. With the advent of artificial stone and cheap quality stone from China and Brazil at a cheaper price tag, there is a big competition between countries for capturing the lion’ share in the stone industry. With lots of benefits for global buyers, granite industry in India has an edge. The color and texture of Indian granite give it an edge in the global competition. Indian granite suppliers and exporters prefer buying big granite boulders and slabs from Brazil before exporting them to the US. In the same manner, Italy buys big slabs from and processes them for the purpose of export. China also purchases raw materials from India. Today, a large number of Indian granite producers and wholesalers deal in the selling and supply of granite slabs, tiles, and monuments all over the world. Just go through and check what stone industry experts have said of granite industry in India and its prospects and future. Currently, China, Brazil, and India are leading granite producers across the world. India has lost some of its traditional markets to China due to the supply of average quality products at a cheap price tag. This Indian stone is popular for its inherent features. Let’s check out the status of the stone in all corners of the world through views of stone experts. 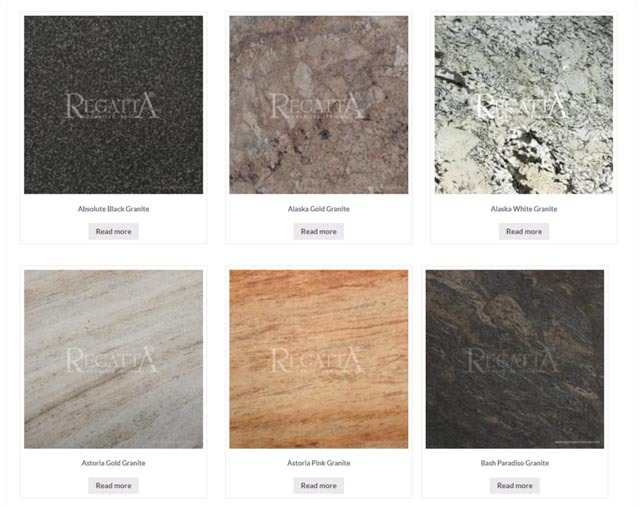 Regatta Granites India, a professional granite producer, seller, and exporters from India, delivers quality granite products in different finishes and shades at the most competitive price. Buyers will really get an edge when they make a purchase from the producer.